In 2016 the “Kapitza Society” was created by Jean Weill in honor of the “Kapitza Club” founded by Peter Kapitza in the 1920s in Cambridge. 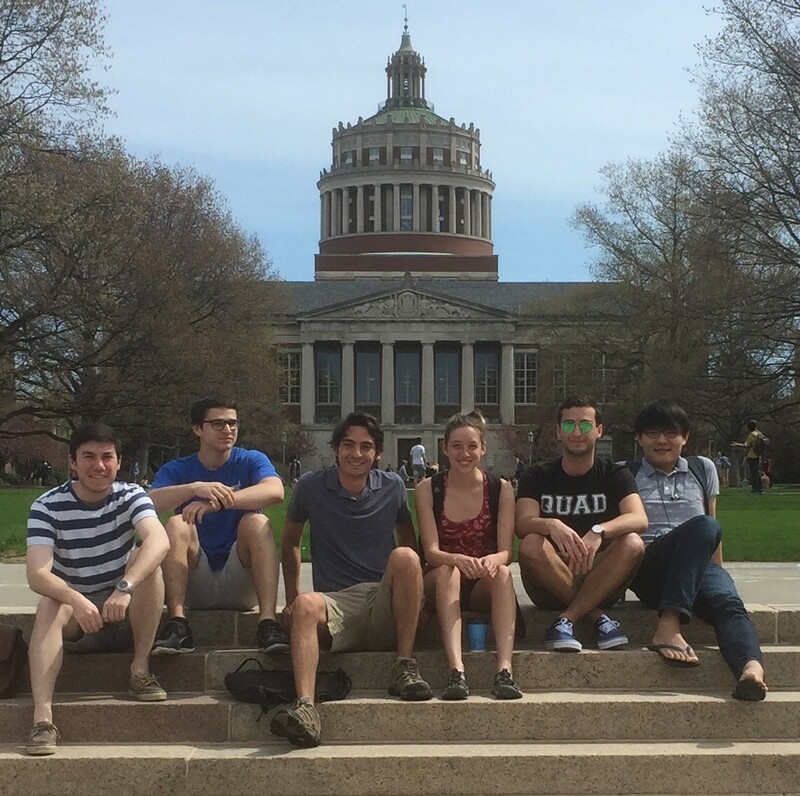 Our goal is simple: to bring together a small team of elite students with an insatiable thirst for knowledge in order to explore theoretical physics outside of our classes. Each session revolves around a lecture by a society member. We meet once a week – thirty minutes for practice problems, then one hour and thirty minutes for theory. 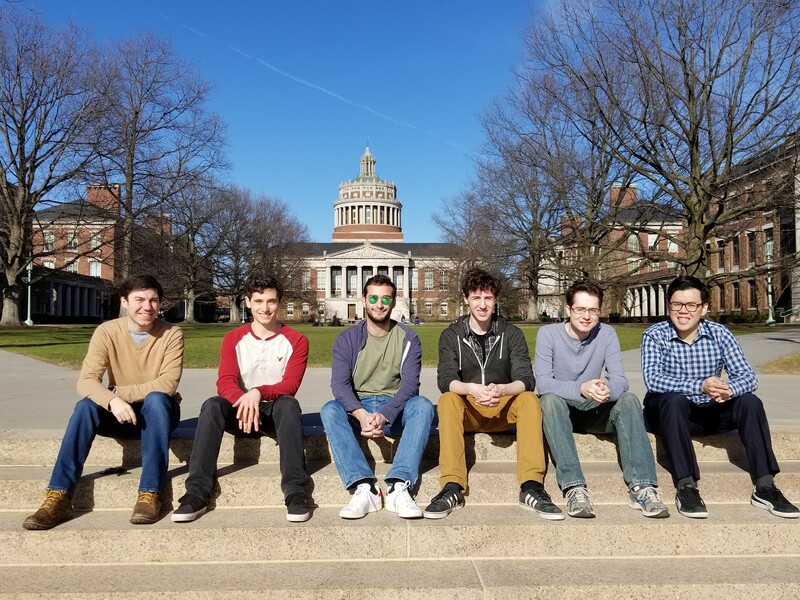 We have studied a variety of topics, all at the graduate level: differential geometry, particle physics, Lie algebras, quantum field theory, and quantum information theory. Tri Nguyen: "From Gravitational Collapse to Black Holes"
Jeremy Atkins: "Solving the Geodesic Equation"
David Mayrhofer: "First Order Approximations in General Relativity"
Byron Osterweil: "The Schwartzchild Geometry"
Kyle Webber: "Kerr Geometry and Rotating Black Holes"
Jeremy Atkins: "The Free Klein Gordon Field Theory"
David Mayrhofer: "Complex Solutions to the Klein-Gordon Equation"
Logan Meredith: "Helicity, chirality, and the Dirac equation in the non-relativistic limit"
Ben Saltzman:"Second Quantization of the Klein-Gordon Equation"
Jean Weill: "The Dirac Equation"
Logan Meredith: "The CHSH game as a Bell test thought experiment"
Jean Weill: "Statistical and Quantum Mechanics"
Adam Lott: "Introduction to Lagrangian Field Theory"
“Lie Groups, Lie Algebras, and Representations” by Brian C. Hall (2nd edition).